Tigers are the largest of the big cats with male Siberian tigers reaching a length of up to 3.5 metres from nose to tail. They live in isolation and hunt alone, meaning that for all of their size and remarkable athletic ability, their success rate when hunting prey is only about 5-10%. Lions are truly magnificent animals who have harnessed the power of teamwork, with lionesses doing the majority of their hunting in groups of 3-7. Their ambushing techniques and ability to work together enables them to take down large prey and increases their hunting success rate to about 30%. Then there is the relatively humble African wild dog. Much smaller at a little over a metre in length, this species hunts in packs of up to 30 dogs, utilising their extraordinary stamina and vocal calls to coordinate their attacks with great effect. 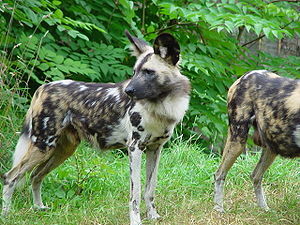 Despite not being as glamourous as the big cats, the African hunting dog has a success rate of 80-90%. When it comes to leadership, there are two extremes when it comes to predictability. On one hand we have those leaders who are stuck in the mud, staid and perhaps boring. You know that they’re to say before they open their mouth and they’ve been repeating the same message since you first met them. Alternatively, there are those who are erratic, overly emotional and easily swayed by their circumstances. You’re never quite sure what you’re going to get, and you hope that you get them on a “good” day. If the traffic was bad on the way to work or their football team lost over the weekend, look out! Predictability and unpredictability can both be good things if used at the right time and in balance. These days it’s not uncommon for large organisations to utilise group assessments during their recruitment process. This is especially the case when they’re recruiting large numbers of people at a time. As they aren’t as common as the standard style of interview and there are a few things that you can do that will help you to get through to the next stage of the recruitment process. Once, long ago, you started building something. You started with enthusiasm and brick by brick, you made progress. Your back was strong and your vision for the project was clear. OK, We’re Still Here. Now What? As we all know, some misguided individuals believed that the rapture was supposed to come on Saturday, May 21, 2011. And then those crazy Mayans predicted that the world would end on December 21, 2012. Of course it didn’t and we’re all still here. Last weekend reminds us (besides the gullibility of a few people) that we really don’t know how much time we have left. We could be hit by a bus tomorrow or live to the age of 100, so let’s make the most of what we have. It doesn’t matter what it looks like outside, rainy, overcast or lovely clear skies, it’s always the same to him, a beautiful day. He could be feeling unwell, have just finished a delightful three year-old tantrum, or otherwise had every reason to say something else, but to him it’s always a beautiful day. Besides being adorably cute when he says it, Logan reminds me of an important principle. If you’re a leader or someone who works with others, then understanding how you influence others is important. From the most timid person to the most charismatic individual, the reality is that we all have some sort of influence on those around us. The challenge is to find ways to increase our impact in positive ways so that we can augment the effectiveness of those around us, help to create a more constructive environment and make ourselves more indispensable. Over the years, I’ve identified four categories that describe how we are influencing those around us. On a conference, you get inspired to improve your performance and try something new. On a junket, you go back to the same old routine. On a conference, you remember the messages from great speakers. On a junket, you remember the great drinking sessions.